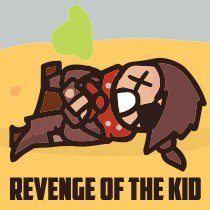 Your revenge kid has multiple weapons to use. Just shoot enemies and throw knives. Have fun shooting enemies and throwing knives. Get your shots and reveal hidden enemies that fear you. Kill all and pass to the next level.